For years I always insisted on including colour in my Japanese pieces. But in recent times, I have had more enquiries for black and grey compositions, and at the end of the day, the tattoo belongs to the customer. 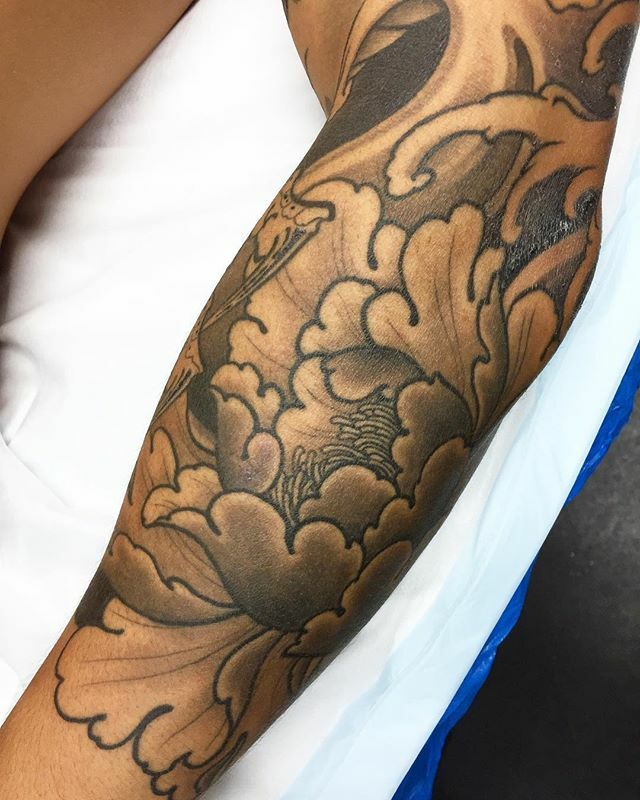 However, I’ve been noticing some great black and grey pieces from some prominent Japanese tattoo artists I follow, and have been drawing influence and enthusiasm from their work. I feel this recent healed piece works well with the wearer’s skin tone. And I’m more open and keen on this approach than in years gone by.